If your family’s health insurance is a high-deductible health plan, your family deductible may work differently than it did when you had other health insurance. If you don’t understand exactly how the family deductible works in a high deductible health plan (HDHP), you could be surprised. Your health insurance might not start paying benefits when you think it will, or one family member may have to pay more than you anticipated. If you’re not quite clear on the basics of what a deductible is, what’s credited toward it, and what happens after you’ve paid your deductible, read “Health Insurance Deductible—What It Is and How It Works” before you go any further. You’ll need this basic understanding of deductibles before you’ll be able to understand how an HDHP’s family deductible differs from the norm. With family coverage in an HDHP, health plan benefits (other than preventive care, which is covered before the deductible on all non-grandfathered plans) don’t begin for any member of the family until the entire family deductible has been paid, or until the family member receiving treatment has met the maximum allowable out-of-pocket limit for the year (in 2019, that's $7,900), whichever happens first. The restriction that prevents a single family member from having to incur more than the individual out-of-pocket maximum was implemented for 2016, and is described below. As each family member incurs medical expenses, the amount they pay toward these expenses is credited toward the family’s deductible. When these expenses add up to the family deductible, the HDHP coverage kicks in and starts paying its share of the cost of health care expenses for each member of the family. One family member has high health care expenses. By paying those health care expenses, he reaches the family deductible and coverage kicks in for the entire family. But if the family deductible is higher than the maximum allowable out-of-pocket for a single individual, benefits will kick in for a single member of the family once that limit is met, even if the family deductible hasn't yet been met. For example, if the family deductible is $10,000 in 2019, an individual family member wouldn't have to pay more than $7,900 in covered in-network charges—at that point the HDHP would start to cover 100 percent of that family member's covered in-network charges, even though the full family deductible hadn't been met yet. But if the HDHP has a $5,000 family deductible, the entire family deductible could be met by a single family member's expenses, since that would still be less than the maximum allowable out-of-pocket expenses for an individual. Several different family members have smaller health care expenses. The family deductible is met when these smaller expenses added together reach the family deductible amount. How Is That Different Than the Family Deductible in a Non-HDHP Plan? In a more traditional type of health plan, each family member has an individual deductible and the family as a whole has a family deductible. Everything paid toward individual deductibles is also credited toward the family deductible. There are two ways these non-HDHP health plans will begin to pay benefits for a particular individual within the family. If an individual meets his or her individual deductible, the health plan benefits kick-in and begin to pay the health care expenses for that individual only, but not for the other family members. 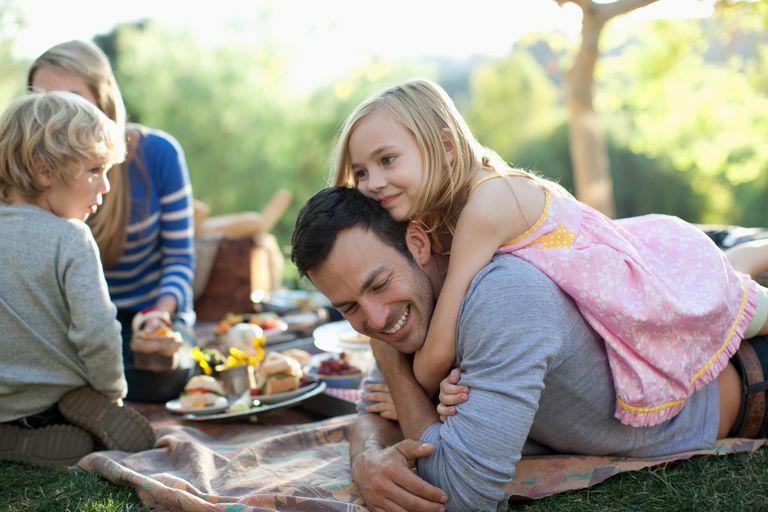 If the family deductible is met, health plan benefits kick-in for every member of the family whether or not they’ve met their own individual deductibles. The difference between the traditional type of health insurance deductible system and the family deductible in an HDHP health plan is that the individual deductible is eliminated in family HDHP coverage. Traditional an HDHP wouldn't begin to pay benefits for any family member until the family deductible had been met. But under new rules that took effect in 2016, benefits kick in for an individual member of the family once he or she meets the out-of-pocket limit for that year, even if the family deductible has not yet been met. In contrast, with a non-HDHP plan, the family deductible can’t be met by the health care expenses of one family member alone. It takes the added deductibles of at least two family members together to reach the family deductible. The Department of Health & Human Services has tweaked the rules slightly for non-grandfathered health plans using an aggregate deductible. This affects most family HDHP health plans. The added wrinkle is this: a health plan can't require any individual to pay a deductible that is higher than the federal limit for the out-of-pocket maximum for individual coverage, even if that person is covered under an aggregate family deductible. For 2019, the out-of-pocket maximum for an individual is limited to $7,900; the government raises the upper limit on out-of-pocket maximums each year to account for inflation. An Example: Let's say the aggregate deductible for your 2019 family plan is $12,000. Once any individual family member has paid $7,900 toward the aggregate deductible amount, coverage for that particular individual must kick in without requiring further cost-sharing like copays or coinsurance. This person's coverage kicks in because he or she has now reached the legal out-of-pocket limit for an individual. However, coverage for the other members of your family still won't kick in until the family's entire aggregate deductible has been met. How Do You Know Which Way Your Family Deductible Works? Most HDHPs use the family deductible system in which there are no individual deductibles and nobody in the family gets benefits until the family deductible has been met. This is known as an aggregate deductible. But again, that now depends on whether the family deductible is higher or lower than the maximum out-of-pocket limit for individual coverage in that particular year. For example, if a family HDHP has a $6,000 family deductible, one family member can be required to meet the full deductible in 2019. But if the family deductible is $10,000, a single family member wouldn't have to spend more than $7,900 before coverage would kick in for that person in 2019, despite the family deductible not yet being met. So whether or not this new rule changes anything about your family's coverage depends on how high your deductible is. Most non-HDHP health plans use the system where benefits begin for individuals who meet their individual deductible before the family deductible has been met. This is known as an embedded deductible. You can remember this term if you think of it as several individual deductibles embedded within the larger family deductible. Your health plan’s literature should tell you how your family deductible works. It may use examples, or it may use the terms aggregate deductible vs embedded deductible. If it’s not clear, call the health plan and ask or, if it’s job-based health insurance, check with your employee benefits department. If your HDHP Summary of Benefits and Coverage lists both a single deductible amount and a family deductible amount, don’t just assume it uses an embedded deductible system. The single deductible could be for individuals who aren’t enrolling an entire family rather than for individuals within a family policy. Which Is Better, an Aggregate Deductible or an Embedded Deductible? As a general rule, embedded deductibles tend to save families on out-of-pocket costs since health coverage kicks in for some family members before the entire family deductible has been met. This results in the sickest family members having their health insurance benefits kick-in sooner with an embedded family deductible than they would have under the HDHP method of an aggregate family deductible. However, how each family’s individual members use health care services is unique. Judge which system works better for your family based on your family’s health insurance usage patterns. Don’t assume that, since you have a high deductible, you must have a high-deductible health plan. An HDHP is a specific type of health insurance (HSA-qualified), not just any plan with a really big deductible. Since HDHP coverage makes you eligible you to participate in a tax-favored Health Savings Account, they have other special rules that set them apart from non-HDHP plans. Although your HDHP might be a PPO, HMO, POS, or EPO, it will still follow all of the special regulations that make it an HDHP, not just the big deductible. If your plan is really an HDHP, your health plan literature should refer to it as an HDHP or a high deductible health plan. Additionally, it may make reference to combining your health insurance with an HSA. Federal Register. Department of Health and Human Services. Patient Protection and Affordable Care Act, Notice of Benefit and Payment Parameters for 2016. February 27, 2015. How Does a Family Aggregate Deductible Work? Do Premiums Count Toward Your Deductible?